Pakistan’s business sector has grown exponentially in the last decade, with the entrepreneurial bug biting the masses across the rural and urban regions. Many from influential backgrounds have taken the road of private ventures as a means of diversifying the family business, and also creating a name for themselves in one way or form. Others have adopted the road to carve out a better future and avoid the daily grind; after all, if you are working hard to give someone else a profit, working for yourself might just be as fruitful. The lack of a single definition to identify businesses that belong to the Small and Medium Enterprise (SME) segment makes it harder for true data to be collated. However, the Small and Medium Enterprises Development Authority (SMEDA) reports that there are over 3.2 million SMEs in Pakistan, with almost 90% of all businesses falling in this segment. The key driver behind this large number is the services sector, including back offices and software houses that have evolved similarly to the American garage ideology. It is a wonder that the mobile communication giants of Pakistan took so long to identify this segment as a vital arena for revenue generation and innovation. Telenor took the leader role by launching the ‘Karobar’ package in May 2009; designed with a minimum line criterion of 5 lines and having bundles that provided team members with low-cost calls amongst themselves, the package introduced a similar level of convenience to the small business players that was once accorded only to corporate bigwigs. In November 2010, Moblink followed suit and introduced the ‘Business Package’; the criterion of 4 to 25 lines with low-cost group calls and internet bundles, took a more granulated look at the SME segment and added value to the deal by introducing broadband offers from its affiliated entities, LinkDOTNET and Mobilink Infinity. The initial outcry from the public on Mobilink’s foray into the segment was of ‘Copycat’; true for those relying on the visuals alone, but not so for those analyzing the offering. Let’s look at this in another format: Apple was not the first to introduce touch-screen phones, but did become the initiator of touch-screen smartphones or multimedia phones. Several competitors followed suit as consumers responded positively to the technological change, offering more features in their devices to one-up Apple. 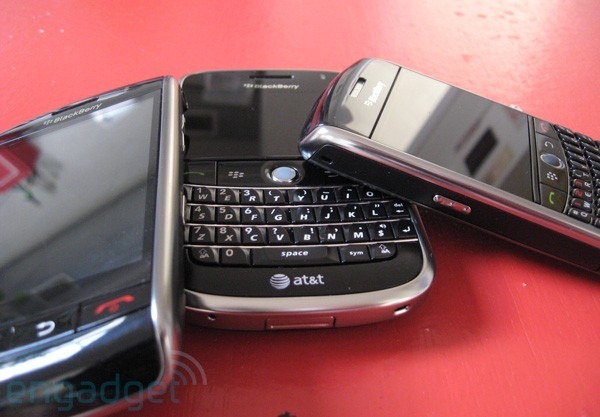 Just the other day, I came across a beautifully crafted Blackberry 9700 handset my friend was holding. As I stood admiring it, my friend pulled out an antenna on the phone and initiated the television program. It was a Chinese copy of the original handset, but upped the feature offering several fold. Good work! While Telenor and Mobilink fight away on call rates, one should seek to understand the crux of each offering: the former provides all network free calls and free minutes within a group after paying a subscription fee; the latter provides a flat rate for calls within a group without paying any subscription fee. Furthermore, the cost of a standard SMS is lower on Mobilink than on Telenor. However, the broadband internet offering by Mobilink takes the offer to another dimension; one provider for a complete solution. I leave it up to the consumers to judge which company has the better package for your needs. The positive that I take out from this battle is the recognition given by the industry leaders to the SME segment, and the hope that this will now create a wider awareness to become more consumer-oriented with their offerings. So, whether you Personify with ‘Karobar’ or bring a little Indigo with the ‘Business Package’, stand up, be counted and continue the path of growth and innovation. Telenor and Mobilink both are strong competitors of each other. The packages offered by Mobilink are the best. For individuals, organizations and SMEs!. No Doubt!